Finishing off my week of reading graphic novels, I picked up two titles which have been getting a lot of attention (and prizes) lately. Both are on my library shelves, but I hadn't got to them yet. 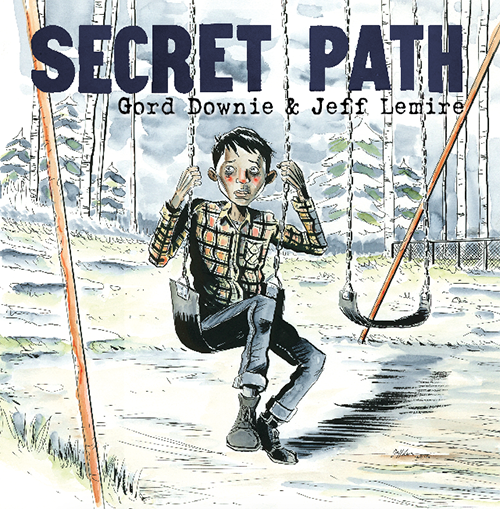 First I picked up The Secret Path, by Gord Downie and Jeff Lemire. This is the story of Chanie Wenjack, a young boy who tried to walk home from the residential school he was sent to in 1966 - though his home was 400 miles away. Sadly he didn't make it. 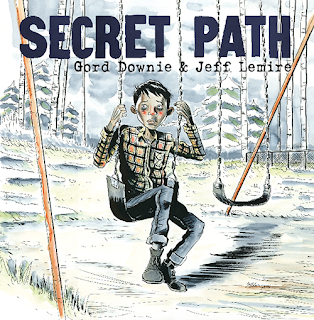 This is now a well-known story, and Downie's dedication to sharing this story and giving all the proceeds to The Gord Downie Secret Path Fund for Truth and Reconciliation via The National Centre for Truth and Reconciliation at The University of Manitoba is admirable. You can learn more about how and why it was written, and hear the music and watch the animated CBC version over at the Secret Path website. The book itself is oversize, quite large and unwieldy. It's laid out with one poem/song on a page and then illustrations to follow, with no words or dialogue. Chanie's experience is all drawn in blue/grey/white and his memories are in colour. Despite the importance of the story and the good intent behind it I didn't love this book. I think it works better in its online format, with music, as an animated short etc. rather than an oversized softcover. program focused on healing and reconciliation of gang-affiliated or incarcerated Aboriginal men. In this story, two brothers struggle against a life shaped by crime and addiction. 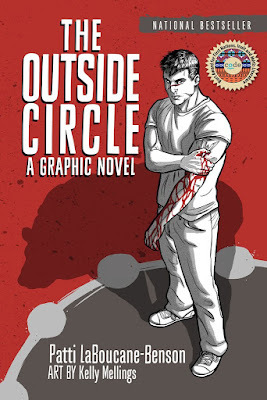 The eldest, Pete, joins a gang and eventually goes to prison. The youngest is left to manage on his own, until finally they reunite and find a long lost uncle who was separated from his siblings (their mother) as a child in residential school. Much of the book is about Pete's journey to self-awareness and a knowledge of his identity as an Indigenous man. The book lays out history and reasons for the social conditions they face in this story, and a move toward a more stable future as someone with a strong and respected cultural identity. I found it very interesting, and a really good blend of text and illustration. It held a sense of hope and meaning that really touched me. There are links and information about the services that the author has been involved in at the end, as well, for anyone who wants to learn more.